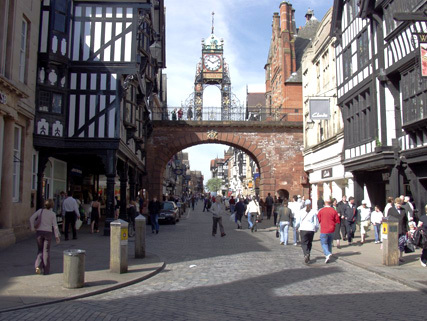 Chester Attractions - A Wealth of Things To See and Do in an Extraordinary City Chester attractions never fail to amaze, with an astonishing array of variety from the alfresco to the aquatic, which will amuse and entertain adults and children of all ages around the clock. Always with a full calendar of fun things to do in Chester, you will not only be kept busy but also find it a vibrant place to be. You may be thinking of visiting a specific attraction or are looking for sights and Chester events to spice up a trip-either way you'll find all the information you need right here, so come visit soon! There has been a church on this site for over 1,000 years. Originally a Saxon Minster, then rebuilt as a Benedictine Abbey, this magnificent building is a national treasure in the heart of the city and has been the Cathedral Church of the Diocese of Chester since 1541. From Norman arches to gothic columns, spectacular fourteenth century woodcarvings, the medieval shrine of St. Werburgh and spectacular stained glass. The Cloisters and Church form one of the most complete medieval monastic complexes in the country. Chester Cathedral demonstrates the skills of craftsmen over the centuries and is a place where history has happened. Visitors can take an audio tour, visit the 13th Century Refectory Cafe and browse the Cathedral Gift Shop, which has a wonderful range of music, jewellery, books, cards, toys, confectionery, gifts and souvenirs for all seasons and occasions. Groups are welcome by appointment and tours can be specially tailored to include coffee, tea or lunch to make a great day out for your organisation. Disabled access and facilities including toilets and induction loop. An admission charge is payable, which directly supports the maintenance of the Cathedral and its mission. For more information, regular service times and details of forthcoming events and concerts and online booking, please see the Chester Cathedral website. Fascinating displays that build up a picture of Roman Chester. Go back in time to home life from the 17th century to the 1930s. Explore 'hands-on' the geology and natural history of the area. Enjoy the beauty of art, and discover the city's important place in silver history. With an active programme of special exhibitions and events there's something for everyone at the Grosvenor Museum. Facilities include the conservatory shop, and tea and coffee in the Kings Arms Kitchen. All our vehicles have been tested to meet the highest standards for Safety and Reliability and are plated by Liverpool City Council to ensure your journey with us is as relaxed and comfortable as possible. 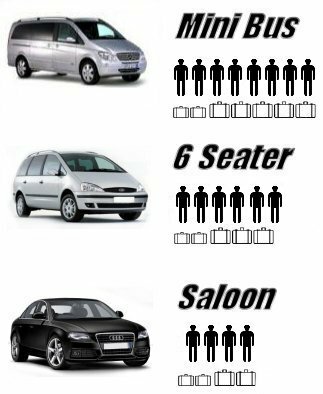 We have drivers who are dependable, reliable and years of experience in the trade. Your safety is paramount to us so if you have special needs such as booster seats for children please ask when booking for details. Four passengers travelling from Liverpool to Manchester Airport only £39, or £78 return journey, journey times for this trip takes approx. 40 minutes at normal times , please allow extra times if travelling in rush hour. It is wise to book well in advance but we can work on only 20 minutes notice! so call us now to avoid disappointment.